We’ve got cardinals all over our backyard (the little red birds, not Catholic senior ecclesiastical leaders). While watching one of these little birds fly back and forth to the same spot in our yard, we discovered a nest wedged in between the branches of one of our hedges. Grabbing a step ladder (a short man’s favorite tool), I clambered up the steps to peer inside. Within the layers of pine straw were three quivering, little baby birds with (comparatively) large mouths hanging open. They might as well have had FRAGILE stamped across their tiny bird heads. I lifted up each of my excited children to show them the baby birds. This soon degenerated into a screaming match of “My turn! My turn!” until we imposed a break for the mother cardinal – who was hovering around nearby, looking a little distressed. The distractions of life sank in and we did not return to check on the baby birds until a few days later… only to find that they were gone. I shook my head yes. Despite us both immediately jumping to the conclusion that they were devoured by a cat, I decided to look up when cardinals leave their nest upon a sliver of hope. 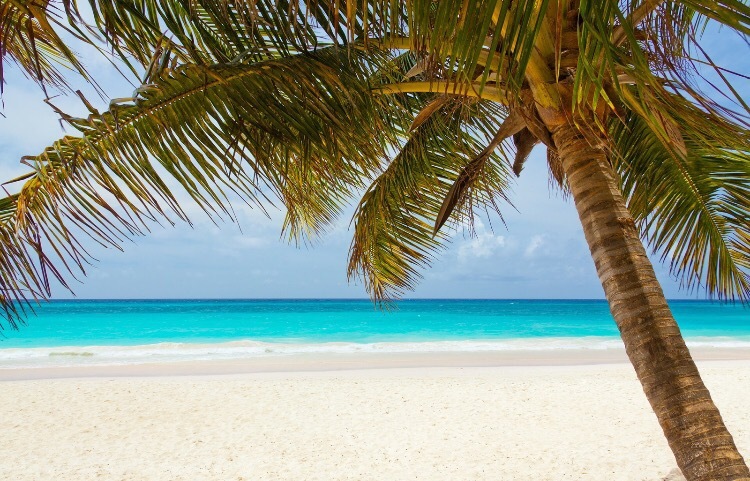 The answer astonished me – just 10 days! I couldn’t believe those frail little birds could turn into something even remotely close to leaving the nest in that timeframe. In my research I also stumbled across another neat fact: cardinals mate for life. Guys – when’s the last time you sang with your wife and fed her mouth to mouth? Clearly I’m slacking. Reading about the cardinals working to help each other out in this way brought Scripture to my mind – specifically God’s declaration over Adam in the Garden of Eden. Eh? Come again? A help meet? Must be that weird old English language. When I look at this combination of “opposite” and “help,” it helps me understand the NLT position: “Then the Lord God said, ‘It is not good for the man to be alone. I will make a helper who is just right for him.’”(emphasis added). My wife is a divinely given compliment to my incompleteness. Wow. I’d like to say that I always hold that reverence for marriage but some days it just seems like my wife and I are speaking two completely different languages. For instance, she told me the other day, "Go to the store and buy a loaf of bread. If they have eggs, buy a dozen." I couldn’t understand why she was so mad when I came home with 12 loaves of bread. Okay, so that was just a joke I found on the internet, but it definitely has a ring of truth about it. The question is, why? Why did God design us to be "half-finished" with such inherent differences? I think Gary Thomas hits the nail on the head when he posed the question, “What if God designed marriage to make us holy more than to make us happy?” Not that marriage isn't a terrific source of happiness - it is! But there is something much more significant that comprises the driving force. I have found that by seeking to bridge communication boundaries and striving to meet one another’s needs, we have grown in ways we simply could not have done without the incredible gift of marriage. There is also no denying that my wife has been uniquely positioned in my life to bring out the most in me, Her strengths fill in the gaps created by weaknesses, and I like to think my strengths do likewise for her. 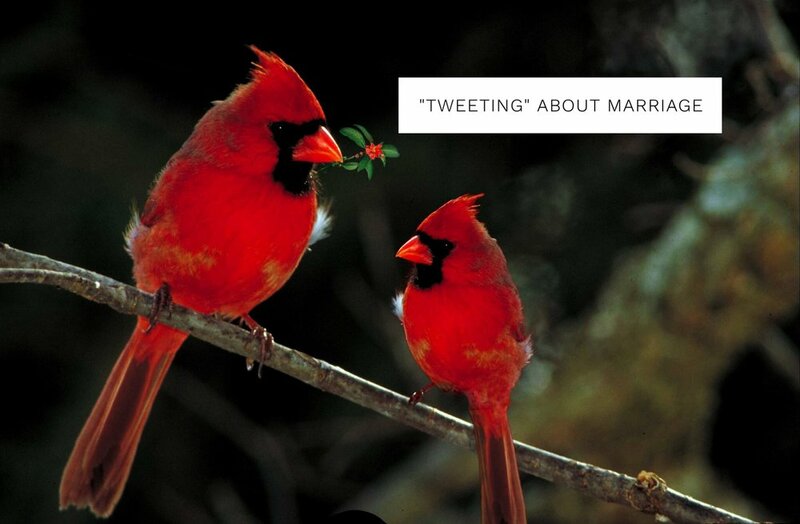 Corny joke alert: Thank you, cardinals, for “tweeting” that reminder of the treasures stored within a biblical marriage! Note: Out of curiosity, I thought I’d look up the worst example of a biblical marriage in the animal kingdom. It would be hard to top the praying mantis, considering the female bites off the male’s head during reproduction. If you would like to take a closer look at the Gary Thomas book referenced in this article, you can do so by clicking on the affiliate link in the picture below. Should you choose to make a purchase, a small commission will go towards supporting the efforts of this blog. There are several other products and resources that I have found helpful in navigating the waters as a Christian and a parent. You can check these out on the Fervent Recommendations page. A daily workout for the body, mind, heart, and spirit for Christian fathers of toddlers. Although I have never done CrossFit, sometimes I feel that just being a father to toddlers is close enough. As you naturally find yourself carrying them from place to place, it becomes quite evident that toddlers have the potential to be a fantastic workout tool. Plus, each day that you feed them, they grow a little bit bigger and weigh a little bit more. In truth, however, parenting toddlers trains us in ways that supersede our physical bodies alone. This fact (and the helpful suggestions of a tremendous brother in Christ in bible study) became my inspiration behind the development of "The Fervent Dad Challenge". As you go through the week, not only will you hit every major muscle group, but you will get a chance to connect with your kids and promote biblical growth towards other important components of your overall health. Don’t take this too seriously. Though I tailored this challenge towards my own experience as a dad, there is nothing stopping moms from participating. Should you choose to accept "The Fervent Dad Challenge", I’d love to hear about the results. Please share your stories! Caution: Do not perform any exercise in a speed or manner that puts your child at risk of injury. If you are not comfortable, STOP. I'm contemplating releasing a more detailed guide with additional physical exercises in a future ebook (because why not?). Body: Toddler Floor Press. Lay flat on your back on the floor with knees bent so that both feet are planted on the ground. Hold toddler at arm’s length with them facing you. Lower your toddler and kiss them on the head. Squeeze abs and push back up to starting position. Repeat for max reps and sets. Mind: Geography. Show your kid(s) a new country on a map. Pull up an image on a tablet/smart phone that shows the landscape. Heart: High fives. Give your kid(s) 10 high fives. Pretend each one is progressively making your hand hurt worse. Comment on how strong they are. Spirit: Worship. Teach your toddler a line from your favorite worship song. Sing it together. Body: Toddler Bent Over Row. With knees slightly bent, keep your back straight and bend over until it is almost parallel with the floor. Grab your toddler (perpendicular to you, facing the ground). Pull toddler to your stomach. Return the toddler towards the ground. When their feet and/or hands graze the ground loudly say “Boing!” and pull them back up again towards your stomach. Repeat for max reps and sets. Mind: Math. Layout toys in the room and count them together. Heart: Tickles. Give your kid(s) 10 tickles. Allow them to tickle you back. Laugh hysterically. Spirit: Prayer for the hurting. Pray with your kid(s) for someone specific that is sick or has a need. Body: Toddler Squat. Either hug toddler or hold at arm’s length (more difficult – simultaneously works arms). Squat down as low as possible. Return to starting position. Keep a deadpan face and say “ribbit”. Repeat for max reps and sets. Mind: Science. Show them a picture of a weird animal or an image from space (galaxies, stars, planet, etc.). Go for something interesting and tell them that God made it. Heart: Funny faces. At the count of 3, everyone is to make the funniest face they can muster. Spirit: Old Testament. 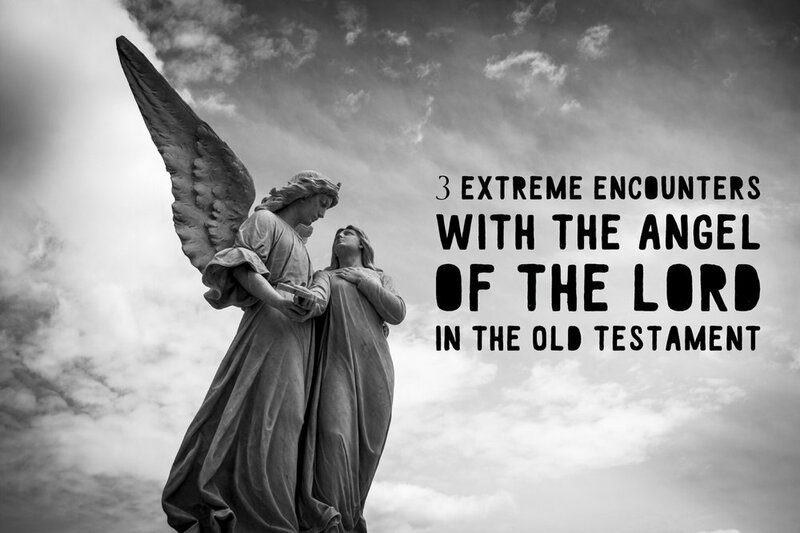 Share an old testament story with your children. Body: Toddler Shoulder Press. Grip toddler under arms. Squeezing abs and keeping back straight, push toddler straight up over your head. Lower toddler and blow a raspberry on their belly. Push back up again. Repeat for max reps and sets. Mind: English. Pick a word and spell it out loud together. Heart: Funny faces. At the count of 3, everyone is to make the funniest face they can muster. Do this at least three times. Spirit: New Testament. Share a new testament story with your children. Body: Toddler Swing. Get into squat position with feet shoulder width apart. Grab toddler under arms. Squat up and swing toddler forwards, exploding the hips and making a sound like a rocket blast. (Optional: toss the toddler a short distance in the air and catch). Swing toddler back down to starting position. Mind: Art. Draw a picture together. Hang it up on the fridge for a week. Heart: Animal Impersonations. Pick an animal and have everyone pretend to be one. Do this with at least five different animals. Spirit: Thanking God. Let everyone pick out three things that they are thankful for. Pray and thank God together. Body: Toddler Wagon Pull (or Car Push). Load your toddler(s) and any additional weight desired into a wagon. With one arm, pull the wagon for a sizeable distance. Make race car noises as you do this. Switch arms and repeat. To increase difficulty, perform on grass or sand (hardest). Alternatively, if you do not have a wagon, buy one immediately – they are one of the most useful tools in the world for parents of toddlers. In the meantime, load your kid(s) into any toy vehicles they have and push them at a sprint instead. Mind: History. Lookup a historical fact to share with your kids. Loads of options here. Do a web search for “on this day in history” if you have no ideas. Heart: Hugs. Hug kid(s) for at least ten seconds and tell them how great they are. Spirit: Love of Jesus. Tell your kids five things that Jesus love them more than (i.e. ice cream, toys, etc.). Rest and reflect on the amazing week you had with your kids! 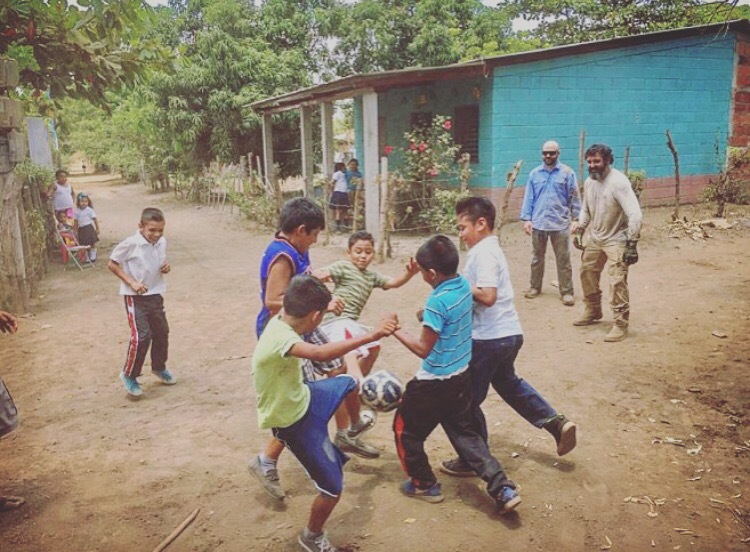 Ask them which activity was their favorite. Repeat challenge as desired! Can you think of a time where you have ever felt completely and utterly inept? When I stop to think about the responsibilities of my commitments, I begin to crater under the weight: husband, father, work, writing, bible studies, nonprofits… though I am incredibly thankful for each of these opportunities and the deep satisfaction buried within their tasks, each single one has the capacity to be overwhelming in isolation, let alone combined (i.e. parenting three toddlers simultaneously). As I let these thoughts simmer, four words quickly come to mind: I can’t do this. Recognition of our own incapability is a good place to start – it helps us identify our need for God. This is the reason why Crawford Loritts characterizes “brokenness” as a fundamental trait for biblical leadership in his phenomenal book Leadership as an Identity. The trick after we recognize our own shortcomings is to not sell God short on His ability to carry us above the waves. 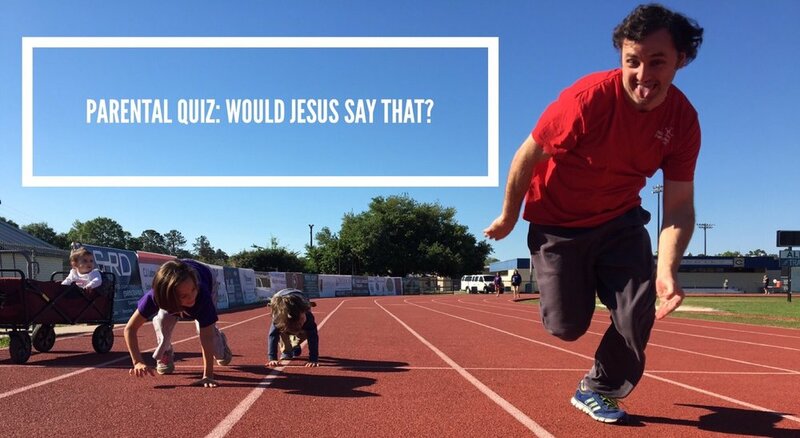 So how do we simultaneously grasp the knowledge that though I am incapable in my power, “I can do all things through Christ who strengthens me”? No seriously, I’m asking. Any practical tips would be great. In 1 Samuel 13-14, Saul and his son Jonathan face insurmountable opposition. Both recognize their own inadequacy, yet the two have wildly different responses. As the Israelites set out to reunite their own forces, news of the sheer size of this Philistine army spread, rousing fear in the Israelite ranks and inciting deserters. Panicking, Saul displayed a prime example of what NOT to do when facing adversity – disobeying God’s word (in this case, spoken through the prophet Samuel). Determined to keep anyone else from scattering, Saul offers up a burnt sacrifice instead of waiting for Samuel to arrive as he was told. Samuel shows up, displays his disgust, and leaves – after he informs Saul that God will rip away the kingdom from his lineage. On the surface, Saul’s fear wasn’t unfounded. A quick headcount revealed he had only 600 men remaining with him…with no swords. Several hundred Israelites armed with pitchforks and shovels facing a massive Philistine force, armed to the teeth with the latest and greatest instruments of warfare. Wonder what was running through their heads? Not surprising that many of them jetted out of there. I certainly wouldn’t have been thinking what Saul’s son Jonathan was thinking. Looking at the overwhelming odds, Jonathan turned to his armor bearer with the bright idea that they should attack an outpost that the Philistine army had just established. 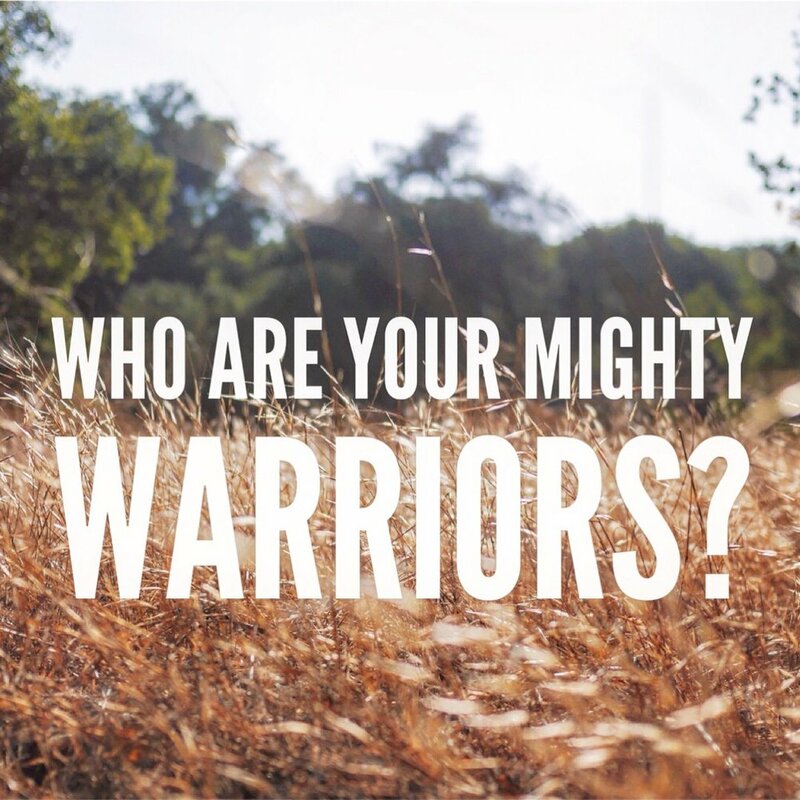 And when I say “they” I mean Jonathan and the armor bearer – just the two of them. Amazing. Jonathan reckoned that perhaps God might help them – and that was enough for him. So the two of them climbed across a pass and begin attacking the outpost alone – until God stepped in. I sometimes hear people say that “God won’t allow you to go through more than you can bear.” This is a misquote of 1 Corinthians 10:13 – “…He will not let you be tempted beyond what you can bear...” The truth is God’s glory thrives when we are faced with the impossible. He’s more than happy to carry you through a situation that you couldn’t bear alone in order to accomplish way more than you ever dreamed possible. Okay. So the polytheistic-riddled Moana isn’t exactly the film I’d pick to model the Christian faith. For that very reason, my wife was asked her thoughts on it by several mothers in her bible study that were wrestling over whether or not to show it to their kids. She was able to share with them the Christian movie reviewing resource that we consult from Focus on the Family whenever perusing new movies for the kiddos: www.pluggedin.com (letting my Dad flag fly a little here). Maoana gets the thumbs up from pluggedin for a couple of reasons. Firstly, since it is loosely based on Polynesian mythology, the historical element can spark a terrific conversation with your children about the importance of spreading the truth of the gospel to the unreached. Secondly, it does a good job of broadcasting the positive message that “striving to do what's good and right will result in a better world,” And for a third (selfish) reason, it's action packed with adventure that makes it way more enjoyable for Dad than all the girly singing in Frozen. For those reasons, Moana can make for a fantastic, family-friendly, popcorn-filled movie night. Let’s break this down with biblical references. Immediately this brings to mind the fact that God will go anywhere and everywhere to relentlessly pursue and rescue His lost sheep. Did you know that God has a unique name for each of his children? It blows my mind that the creator of the universe cares for us on such a deep, personal level. Having sinned and fallen from the glory of God, love for the things of the world has stolen our heart away from our Creator. But this does not define you. This is not who you are. You know who you are. In Christ, we are made new. No longer are we defined by our old, sinful past. Instead, we live each day covered by God’s grace. The Word and the Holy Spirit grant us this recognition in our lives. *This is a Moana joke. If you didn’t get this, then it’s time for you to watch the movie already. I’m struggling with impatience. Thunderous impatience so big, fat, and obvious that I did not even notice it throwing a screaming tantrum right in front of my face. See, I usually think of patience in terms of waiting to find out what’s behind the wrapping paper of a Christmas present. I pride myself on how long I can patiently wait for a new toy. I could go weeks – months even! Thus, I know I am completely justified when I quickly mark the box for “patience” on my fruits of the Spirit checklist. “Yup, no problem here!” I think with a smug smile. Yet, it is this very area where I have been failing massively for the past couple of years. What I have been failing to notice, is my insatiable demand for major life progress to occur now. A few years ago, God entrusted to me a seed. Not a vision. A seed. I wouldn’t even say a seed of a vision. More like, a seed of a seed of a seed of a vision. As time rolls by, I find myself frustrated for not seeing the tree yet. It is not long before my pride overtakes me and I try to grow the plant myself, steamrolling ahead in fifty different directions with the assumption that at least one of those paths has got to be right. Ok great, got it! But what if He is silent? What if – no matter the number of prayers – there is no answer on the way forward? I certainly can’t speak for everybody and every situation (and I am not implying that this is always the case) – but I have slowly begun to acknowledge that perhaps He hasn’t shed a light on my next footstep yet because maybe, just maybe, it’s not time for me to march ahead yet. Maybe He wants me to do that dreaded four letter word…wait. The request wouldn’t be out of His character. Elijah waited for God for years while he lived in the wilderness, eating food brought to him by ravens. Abraham waited 25 years for his promised heir to be born. Of course, knowing and embracing are two different beasts. If you’re like me, you’re probably sick of hearing “wait on the Lord, wait on the Lord.” Yeah, ok I get it, fine (cue eyeroll now). I must constantly remind myself that He is a King and I am a subject. If He tells me to wait, so I shall do because He is a good king, a just king, and He is always right. The alternative could be disastrous – I may not fail in my plans immediately but as a flawed human being I am destined for it. There is only one that can grant guaranteed victory. Funnily enough, since acknowledging my impatience, the Holy Spirit broke its silence to remind me that I never actually finished my last task of writing the book I felt called to write. I finished a rough draft, dusted off my hands, and asked “Ok, what’s next?” No wonder I heard crickets. So, I will continue doing what I am doing, waiting patiently for God to direct my next steps. Whether the “victory” matches my expectations or not, if the outcome is that “many will see what he has done” and “put their trust in the Lord” that seems like a darn good enough reason to me.